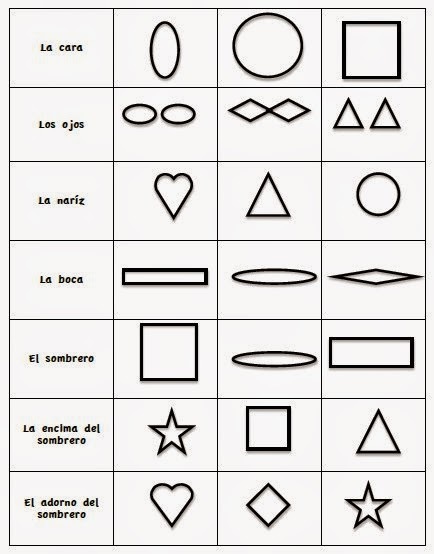 Here are some fun ideas for learning about shapes (figuras or formas) that we have been using. 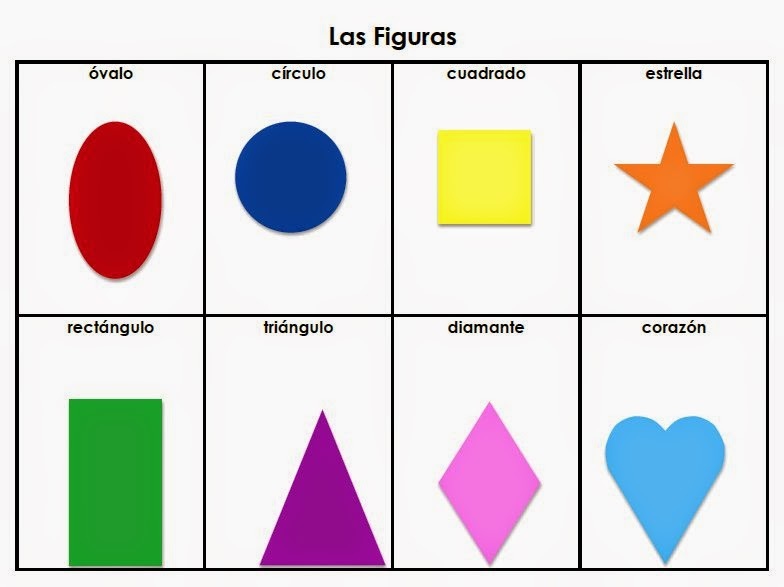 Introduce figuras using shapes you have around the house, your own flashcards or print the flashcards sheet below. Say the figuras while pointing, then have the students repeat after you. Ask the students,"¿Dónde está ________?" and have them point at the figura you name. Have the kids go on a scavenger hunt around the house looking for as many figuras as they can find, and then sort them. 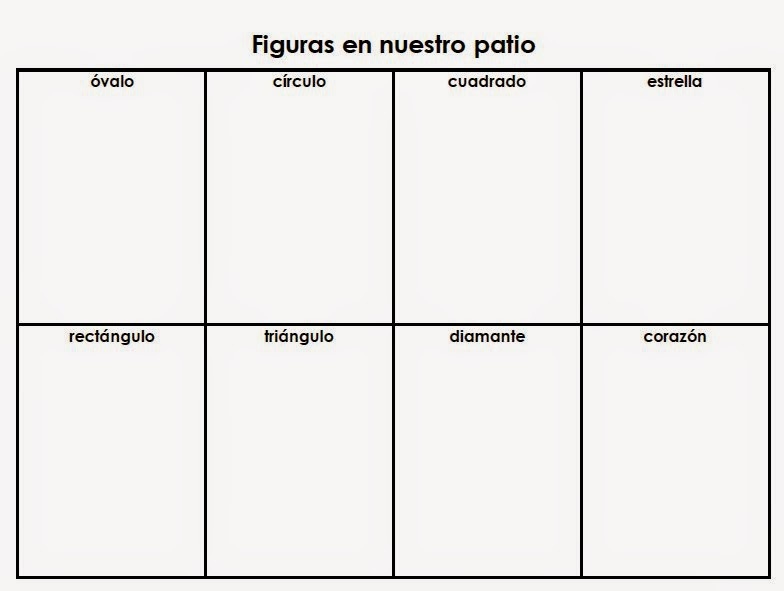 Encourage students to use complete sentences as they sort, such as "Esta figura es un _______." For extra practice have them say the color after the shape name. Model for them, as necessary. Look at famous paintings and drawings and find basic figuras in the picture. Here are some of our favorite picture studies. Using the Figuras Flashcards page, play BINGO. Hide (or have one of the kids hide) a figura flashcard. One student looks for the hidden figura while the others give clues by saying frío or calor. Have your students draw a picture of a face (a clown face works well) or a house using basic figuras. You can use the printable below as a guide for drawing a face. For this activity, use as much language as possible. You can say things like, "Para la cara, se pueden dibujar un óvalo, círculo, o cuadrado." Muy bien, ______, me gusta tu cuadrado. You can also dictate different colors for different parts of the face to practice colors. For more advanced students you can dictate shapes/colors based on various criteria. For example "If you have brown eyes, draw a brown oval. If you have blue eyes, draw a blue circle. If you have green eyes, draw a green square." "Si tienen ojos marrones, dibuja un óvalo marrón." etc. Play I Spy, (Yo veo con mi ojito...) in Spanish using figuras instead of colors. Play the LEGO dice game. Directions: Each child gets a LEGO figure, a die, and a pile of LEGO bricks. 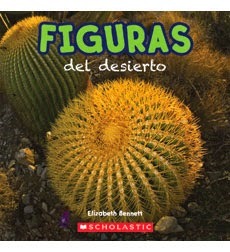 Take turns quizzing the children on the names of figuras, asking "¿Cuál es esta figura?" or "¿Cómo se llama esta figura?" If the child answers correctly, s/he may roll the die. Whatever number comes up, s/he may put that many bricks under the LEGO figure. The person with the tallest LEGO figure at the end wins. Go on a nature walk and have the students find as many figuras as possible in nature. You can use the printable found below for the students to draw the objects they find. Students can use a dictionary to look up the Spanish names for the objects they find then label them on the page. Make figuras sugar cookies, decorate, and enjoy. While you're eating, ask the students, "¿Qué comes tú?" and have them answer, "Yo como ________." 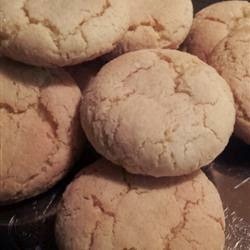 For a yummy, healthier sugar cookie, click here.